Atoms make up everything, so why shouldn't they make up your jewelry collection? Try out the new large Sci Chic Atom necklace and show your love for science with this well-recognized scientific model! Would you like to order a fully assembled necklace? Please order from Scichic.com. 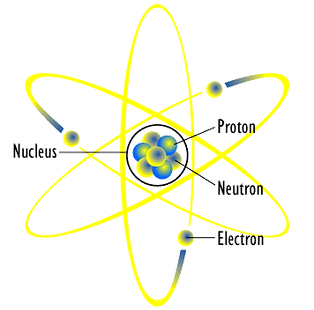 Atoms are made up of three particles: protons, electrons and neutrons. The protons and neutrons make up the nucleus of the atom, represented by the circle in the center of the earrings. The large elipse paths around the outside of the earrings represent the paths of the electrons in the atom. This model if an atom is called Bohr's model. It was created in 1913 by Niels Bohr. It was made to improve on pervious models and was based on the hydrogen atom. This atomic model has been improved on by new models since this time, but is still often used to represent atoms today.